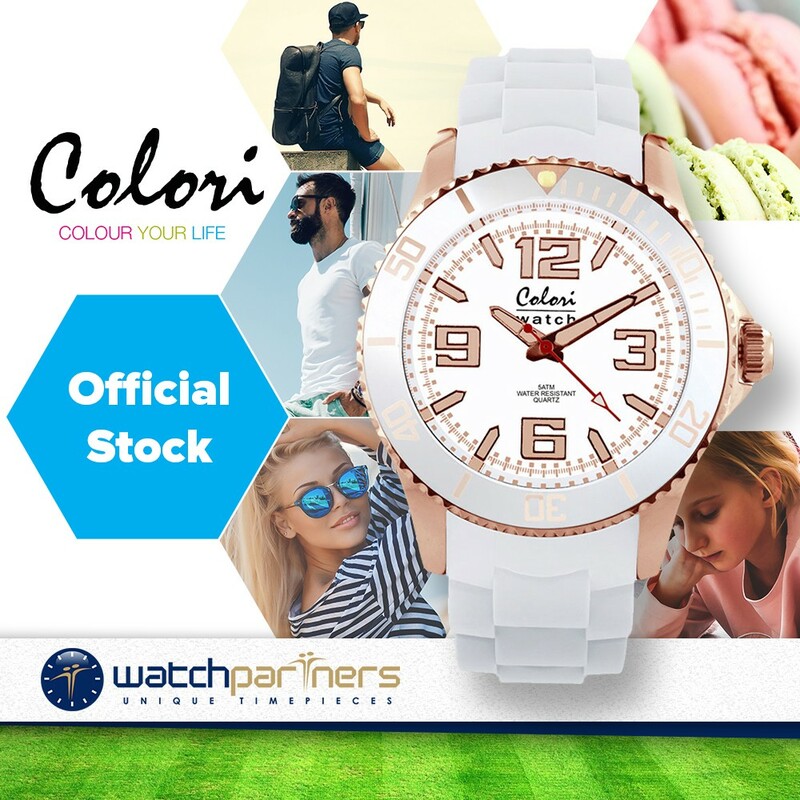 The Colori Amazing Rose Watch has a high quality appearance. Dimensionally the timepiece is available in a choice of 32mm, 40mm and 44mm stainless steel (gold colour) case sizes. 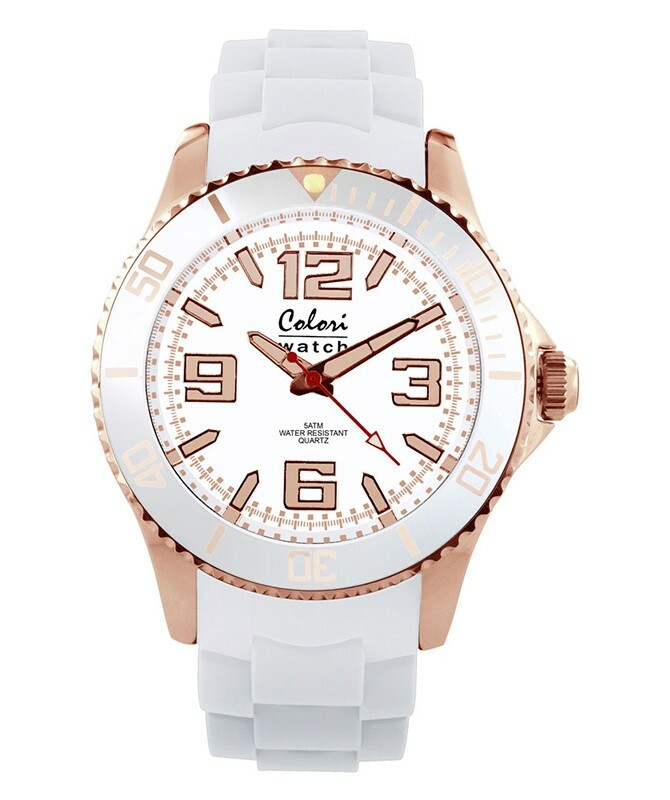 Attractive features include a rotating white bezel, white dial with contrasting gold numerals and mineral glass. Powering the watch is a Japanese made Miyota quartz movement.